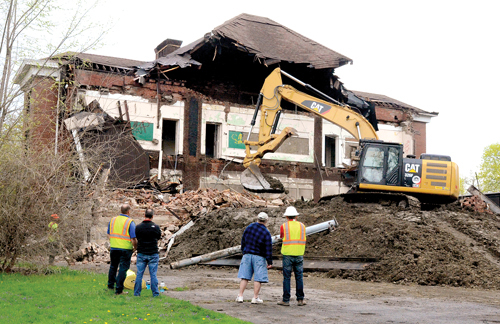 NEWTON FALLS — The move of village offices from the municipal court building and annex will not be happening after all. Legislation that would have allowed the village manger to enter into a contract with the Newton Falls Board of Education was pulled from Monday night’s agenda. The ordinance would have allowed the police department and other village offices to move to the former elementary school. For now, council is planning to remain at the municipal court building, he said. There are no plans to revisit the school as a potential location. “It’s possible it could come back, but if I’m being honest with the community, it’s off the table,” Lynch said. If the legislation had passed, the village would have been paying close to $8,000 in monthly expenses. • Discussed the advertisement for a replacement for the 1st Ward council seat. Joseph Battisti resigned his council position earlier this month. Council has 60 days to appoint a new member. If they fail to do so during that period, then the duty falls to the mayor.